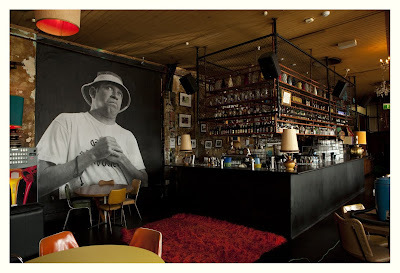 If you happen to be on Chapel Street Prahran, wander down to Revolver and head upstairs for a few beers. While sipping and chortling you may notice a massive portrait of Gonz [that I shot awhile ago]. It's a 4m square paste up of probably the most influential street skater of all time, what a funny weird man he is.